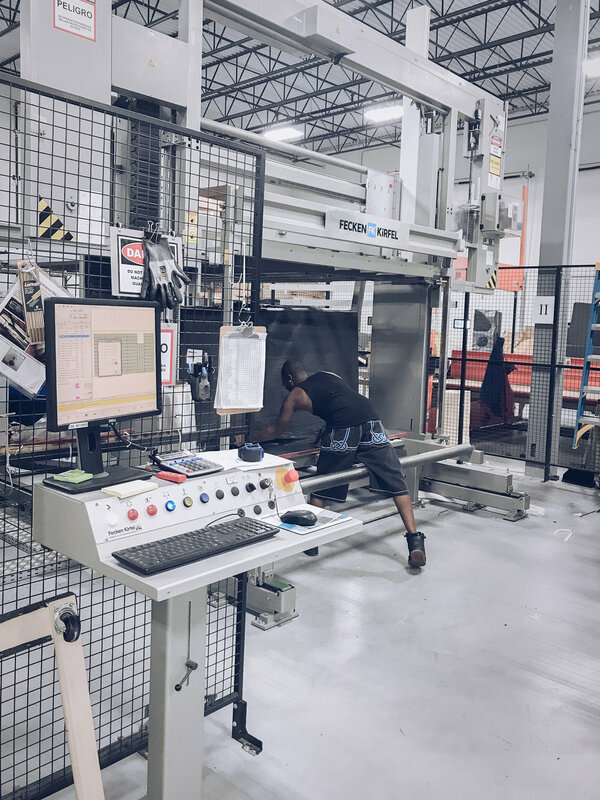 Here at Comfort Option, our work requires a team and we simply couldn't do what we do were it not for our dedicated employees. 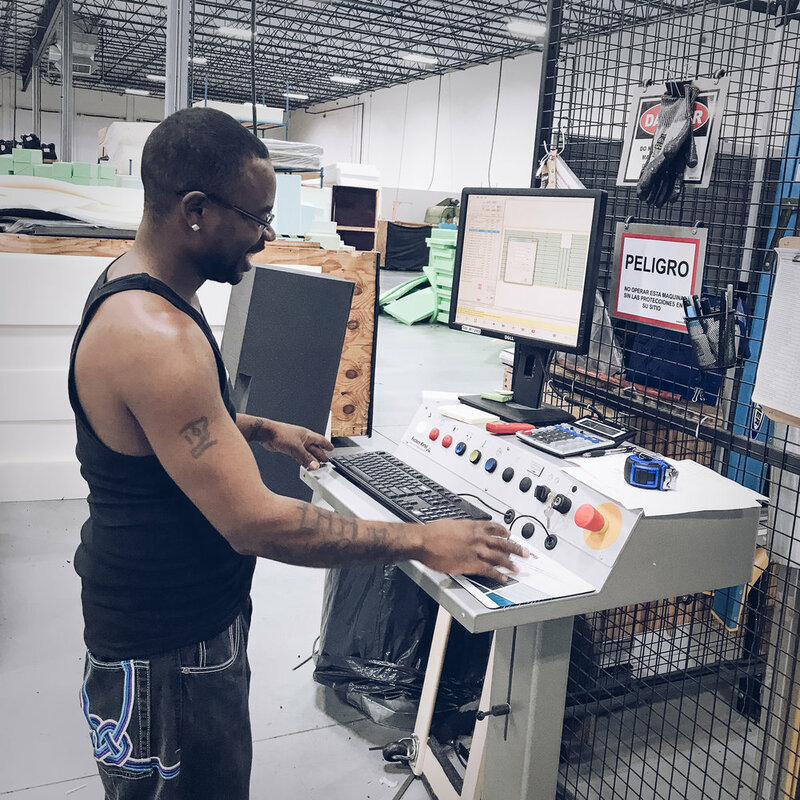 Each member has their own craft and the skill and hard work that they bring is integral to the to the process of creating your perfect mattress or pillow. For the second installment of our Meet the Craftsman series, we would like to introduce you to Jamie Freeman. 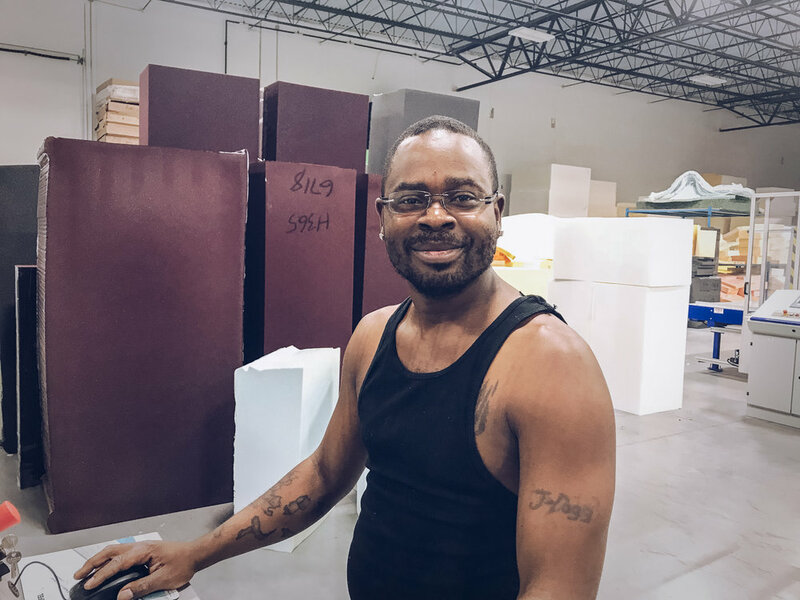 As our CNC Operator, he handles cutting the various custom foam layers that make up a Comfort Option mattress and, day in and day out, he does so with a smile. He knows our products, from base to topper, and if you are sleeping better on one of our mattresses, you probably have him to thank. Ladies and gentlemen, meet Jamie Freeman. What brought you to Comfort Option/Foamcraft? I heard of it through a friend of mine, so I went through a temp service and they sent me here. I am the CNC Operator in the Saw Department. And that’s the machine that runs all the specialty cutting, right? Yeah, all the complicated shapes and patterns. I like to ride motorcycles, work out – always being at the gym lifting weights. I write a little bit. If you could have one superpower, what would you have and why? To fly. I could get anywhere fast. Engineering. Like making engines for airplanes. Very cool. That would be too much math for me personally. Yeah, me too! But I still think it would be interesting to learn. The best part of my job is probably working the CNC machine. I like operating all the other saws, too, but the CNC is more challenging. More interesting. Thanks for all of your hard work, Jamie! To learn more about Comfort Option, our mattresses, our story, and what we do, click here.